On this page you can search our database of properties for sale on the Costa del Sol. The properties here are our own properties as well as properties for sale from other Spanish estate agents, we colaborate with, on the Costa del Sol. Key Estates has teamed up with many other agents on the Costa del Sol sharing our property listings on the Costa del Sol. This gives you the opportunity to search hundreds of different properties on the Costa del Sol on one place. 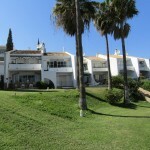 Key Estates - Your one stop shop for property on the Costa del Sol.